The specially developed refrigerate transport solution for f.e. diabetics. 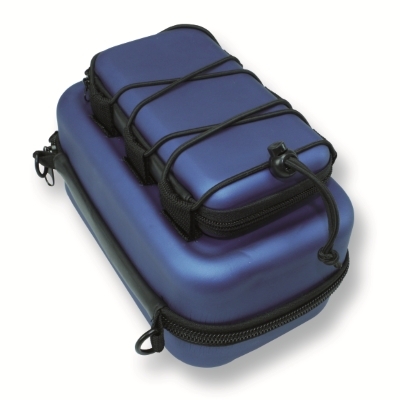 The BlueLine TravelBag consists of a protective and insulating portable bag, 2 cooling elements 4°C, 2 frozen elements, a daily case with holder for the puncture materials and lancing devices. Using the attached frozen elements, the content stays 4 °C for 24 hours. That makes the BlueLine TravelBags perfect for a vacation of travel.